MIXING: Mix 2 parts Ark Epoxy Resin with 1 part Ark Hardener. Use graduated containers or pumps to measure, don’t guess, too much or too little hardener will affect proper cure. Mix thoroughly, scraping sides of the container, add fillers if desired, spread with solvent resistant Brush, Roller, or Squeegee. RECOATING: Recoat with ARK Epoxy as soon as the previous coat is tacky, 2 to 6 hours depending on Hardener and Temperature. After 8 hours or when the epoxy has cured hard sand with 80 grit paper before applying more epoxy, or other coatings. POT LIFE: Time before mixed Epoxy will start to thicken if left in the mixing container. Getting the mixture out of the mixing pot and onto the work surface or into a container with a larger surface area as soon as possible will extend the working time. WORKING (GEL) TIME: The time you have to work with the mixed Epoxy when spread out as a coating or with fibreglass, before it starts to thicken. Pot Life, Gel and sanding time will vary depending on temperature, mixed volume, time in the mixing container and laminate thickness. Pot life and cure time will roughly double for an 8C drop in temperature, and ½ for an 8C rise. SURFACE PREP: All surfaces must be clean, dry, free of oil, wax or paint. Sand cured epoxy, fibreglass, metal and plastics. WAPERPROOF COATING: Roll or brush a thin coat of mixed epoxy, apply a second coat after the first has begun to tack up, 2 to 6 hours. If epoxy is allowed to cure hard (6 to 10 hr) it must be sanded or the next coat will not bond properly. GLUE: Spread a coat of mixed epoxy on both surfaces, clamp until glue just starts to squeeze out, do not over clamp. Thickening with Colloidal Silica will make a good gap filler for uneven surfaces. 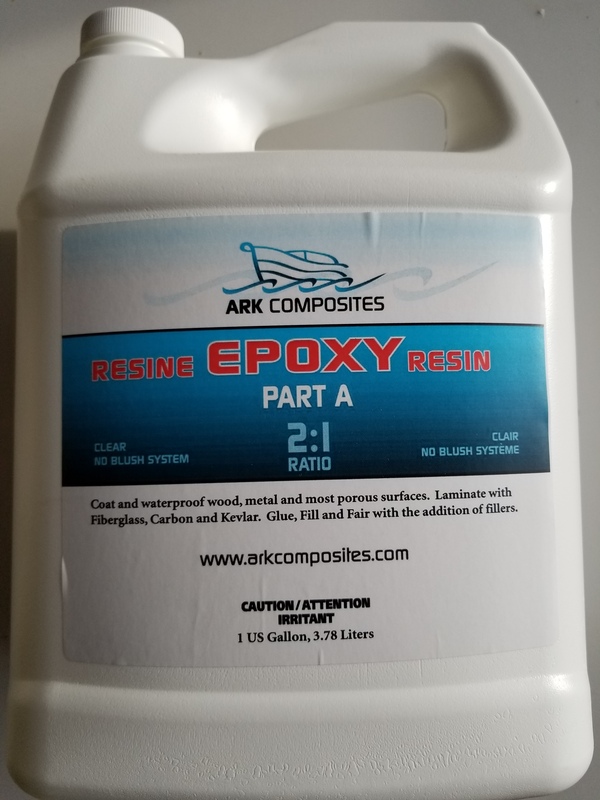 CASTING RESIN: ARK epoxy is water clear and can be used as a casting resin up to 1” thick per pour, using SLOW hardener. ARK pigment, metal flake, fabric, powder, virtually anything dry can be added to ARK epoxy. Avoid liquids, particularly oil based. 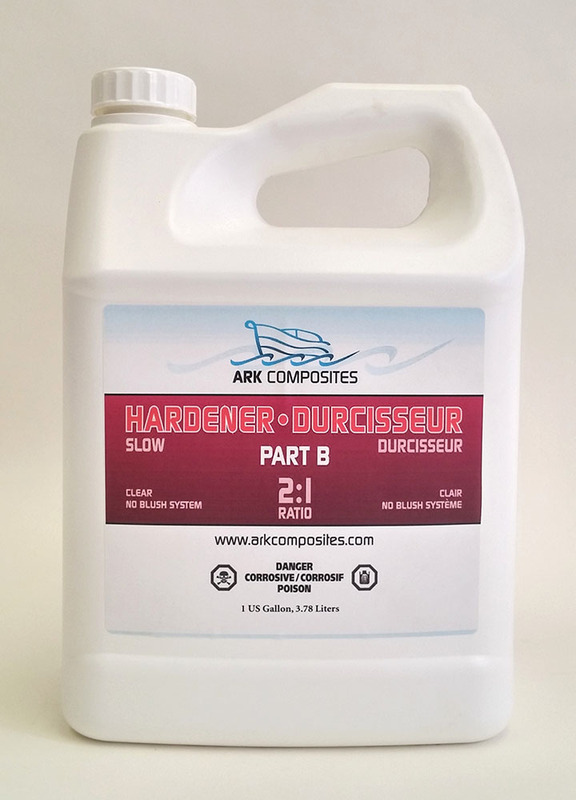 PIGMENTING: Add maximum 10% ARK Pigment to ARK Epoxy. Do not use oil based stains either into or under ARK Epoxy. BODY FILLER: Add Wood Flower, 3M Bubbles or Micro Balloon to mixed epoxy to make a sandable fairing compound or gap filler. STRUCTURAL FILLER: Add Cotton or Glass Fibre with about 25% Colloidal Silica. For heavier fibreglass (12/18 oz knitted) roll a coat of epoxy where you are placing the material. Lay the glass over the resin and use a spreader to work the resin up through the glass, add more resin as needed to wet out completely. A mat roller will help break up the fibres and archive better wetout. For mutable layers put the next piece over the previous immediately, before the first layer starts to gel. PREP FIBERGLASS: Use Acetone and a clean cotton cloth to remove wax or oil. For light weight fibreglass such on small boats, ATV,s etc use a sander with course (40 grit) paper to remove gelcoat or paint for at least 2” around damaged area. Continue sanding until all damaged fibreglass has been removed. Delimitation shows up as white patches, remove this too. A mini grinder with a course resin fibre disk will work faster on heavier glass but is more aggressive. PREP METAL: Use Acetone and a clean cotton cloth to remove wax or oil. Sand to remove paint, rust and other coatings. Surfaces should be clean and dry for Epoxy to adhere properly. 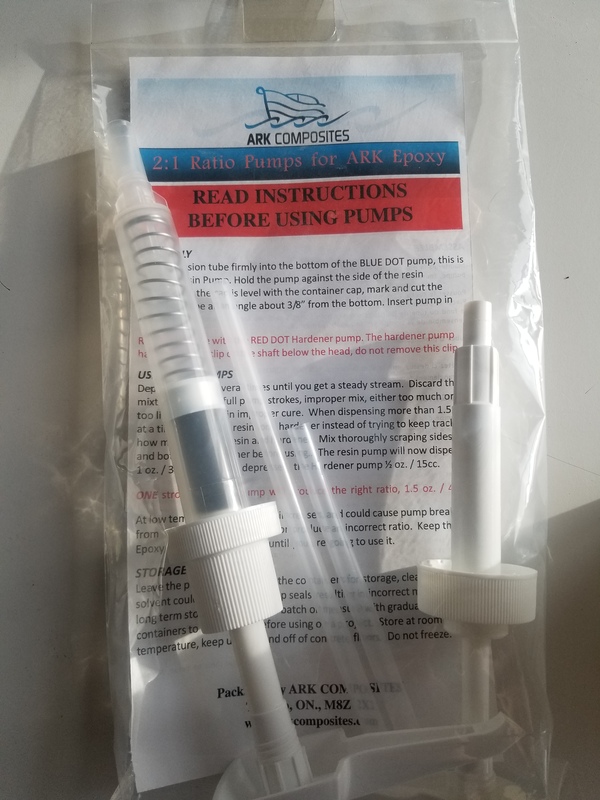 PREP PLASTICS: Epoxy will adhere well to most hard plastics such as PVC and ABS plumbing pipe, just sand with course paper to remove shiny surface. POLYETHELANE PLASTIC: Most Kayaks are made with Polyethylene, for this and other waxy plastics “flaming” will improve adhesion. Use a Propane torch with a flame spreader or heat gun to heat the plastic surface just to the point where it starts to go shiny. Keep the tip of the flame 3” or 4” off the surface waving it slowly back and forth, don’t rush it. Overheating will cause severe damage. Allow to cool for a few minutes, apply Ark Epoxy with filler or fibreglass. FIBERGLASS PATCHES: Fibreglass will not cover open gaps, so holes will have to be backstopped. If you can get at the backside of the damaged area cover the gap with 3 or 4 layers of masking tape. If you can’t get at the inside cut a piece of heavy cardboard or plastic (Yogurt container tops work well) so it will just fit through the widest part of the hole. Put a piece of string or wire through the center of this piece; tie a knot on the back. Push the backstop through the gap, pull against the inside surface, tie off the string, use double sided tape or 5 minute epoxy to hold in place. Use scissors to cut the first piece of fibreglass so it is just covers the sanded area, cut subsequent pieces slightly smaller so you can avoid a bump around the outside edge. Fibreglass bodies on most ATV’s and PWC’s are about 1/8”/3mm thick, 3 layers of glass will fill back to the original thickness. For thicker fibreglass just add more layers. You can mask the area around the repair to avoid drips and runs on the surrounding area but the masking should be removed as soon as the resin gel’s. Brush a thin layer of the catalyzed resin on the sanded area. Place the largest piece of fibreglass over the wet resin, use a brush to work the glass into the resin, add just enough resin to wet out the first piece of fibreglass, apply the next piece over the first, add more resin as necessary and repeat until you have used all the cut material. A plastic spreader or over the limit credit card can be used to smooth the wet glass and remove excess resin. TIPS: Do not use any more resin than is necessary to make the fibreglass go transparent, excess resin will just run out. The resin will take a minute or so to saturate the glass so be patient. See chart above for Pot life, pour mixed resin into a pain tray or other flat surface to extend pot life. If it starts to get warm chuck it and mix a fresh batch. Cured Epoxy will chalk over time if exposed to sun, cover with Spar Varnish or paint. FILLING AND FINISHING: The patch should cure hard in about 8 hours. Sand smooth and flush to the surrounding area with 80 grit paper. Low areas can be filled by adding micro balloons to a small amount of mixed Epoxy until you get thick putty, apply with a spreader. For small amounts of filler almost any dry powder can be added to the resin, such as fibreglass or wood sanding dust, baking flower, etc. Gelcoat does not adhere well to Epoxy and may pop off if the subsurface flexes, but is usually OK for small areas. Sand with 80 grit paper for mechanical grip, wipe with Acetone before applying Gelcoat. Two part polyurethane pant works best over Epoxy, but Alkyd Enamel or Aerosol Sprays are good alternatives. Allow epoxy to cure for at least 7 days, sand the repair area with fine paper and wipe with acetone before over coating. 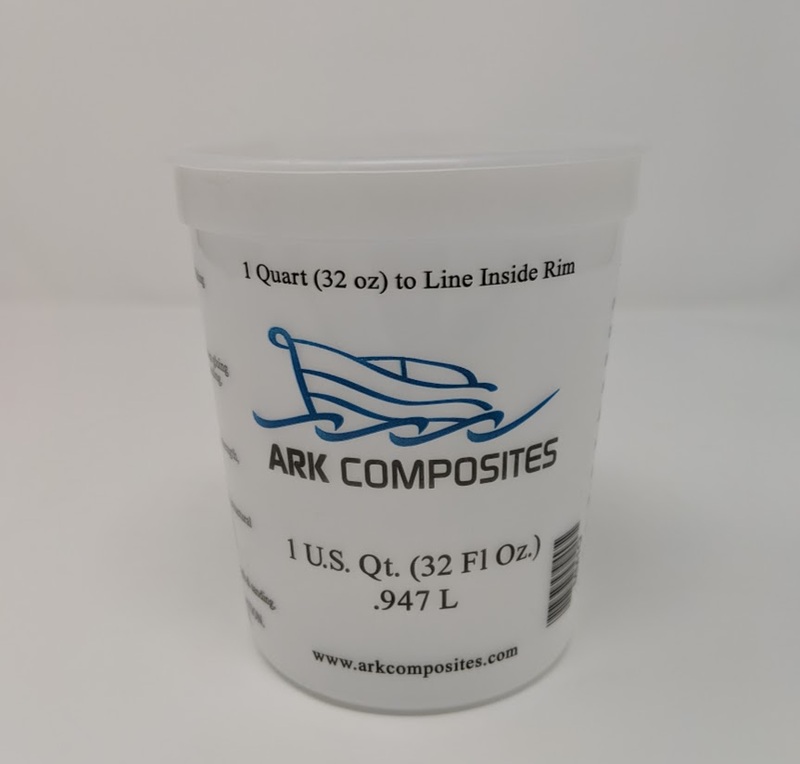 Select the needed Check box and click buy now of ARK COMPOSITES 2:1 EPOXY RESIN 1 GALLON (3.78 L).